Seventy-five years ago, under cover of darkness on the night of Dec. 5-6, 1943, Canadian troops in Italy began a nearly month-long campaign that would end with the capture of Ortona. In July 1943, the Allies invaded Sicily, opening a new front. After the capture of Sicily and the surrender of the Italians, they chased the Germans north through Italy, facing stiff resistance with every yard gained. The plan was to advance up the Adriatic coast to Ortona, then strike inland to Rome. At the end of November, the Allies were bogged down, Germans dug in on the far side of the Moro River. The Canadians were tasked to cross the river, head up the valley, break through German lines and capture Ortona. They began with an attack involving the Hastings and Prince Edward Regiment, the Seaforth Highlanders and Princess Patricia’s Canadian Light Infantry. The PPCLI took and defended their objective, but San Leonardo remained outside the Canadians’ grasp. The German 90th Panzer Division rushed from Venice to block the offensive. The 48th Highlanders of Canada in 1943. On Dec. 8 and 9, the 48th Highlanders of Canada and Royal Canadian Regiment outflanked San Leonardo by attacking from different directions. Meanwhile, the Royal Canadian Engineers built a bridge to allow the Calgary Regiment’s tanks to cross the river and advance into the town accompanied by the Seaforth Highlanders. After a stiff fight, San Leonardo was in Canadian hands and a firm bridgehead was established. 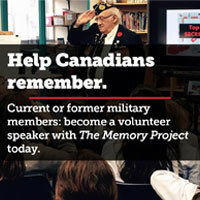 On Dec. 10, the Canadians were stopped at a narrow gap about a kilometre from Ortona. They called it The Gully and it was so heavily defended it was impassible. Finally, Captain Paul Triquet, later awarded a Victoria Cross, and 88 men of the Royal 22nd Regiment outflanked the obstacle, supported by seven Ontario Regiment tanks. 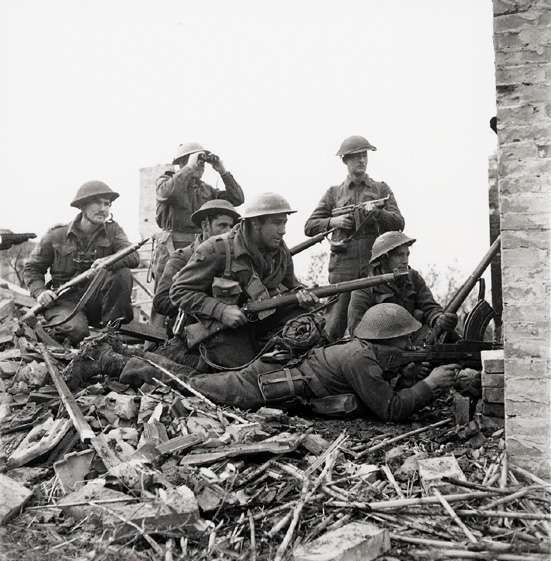 After a nine-day battle, the Germans were driven toward Ortona. Ahead lay a bloody street battle in the obstacle-filled booby-trapped town of Ortona. The victory would cost dearly: of the 20,000 Canadians, there were 2,605 casualties, including 502 killed. As well, 1,617 were sidelined by illness and nearly 4,000 by exhaustion. 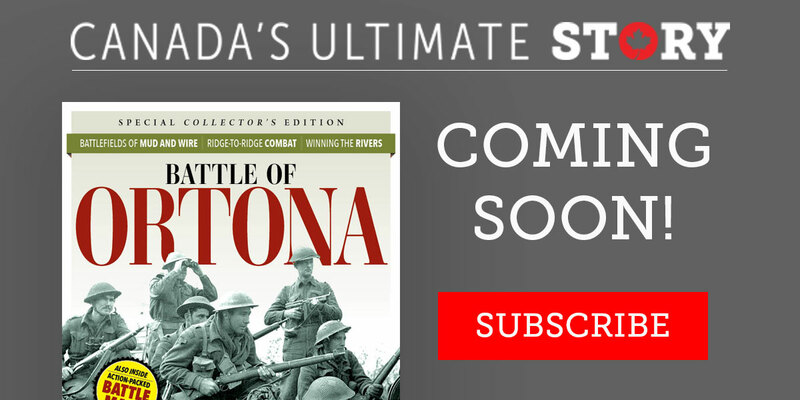 Want to find our more on The Battle of Ortona?